During the month of April, Executive Chef Jaymi Stahnke will feature “Superhero Oysters” on the menu. 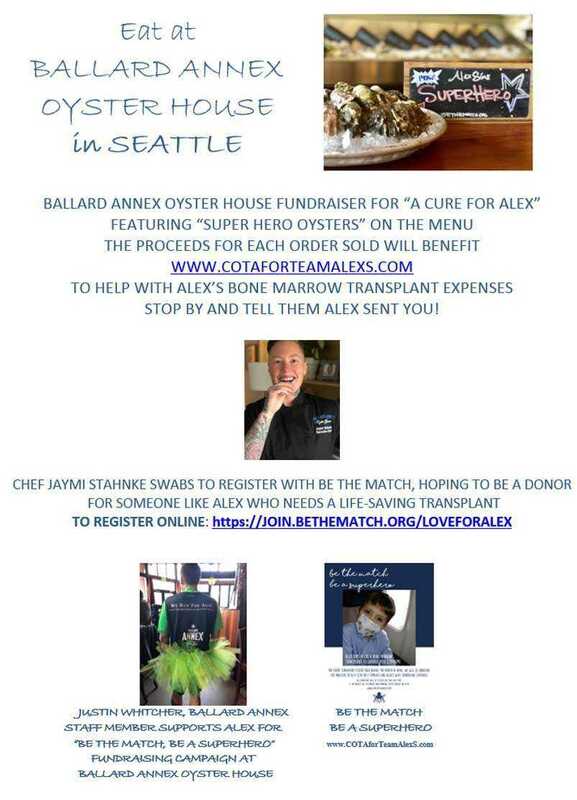 The proceeds from Superhero Oysters will be donated to COTA for Team Alex S.
“Hi there Alex! You don't know me but your story touched the heart of one of my co-workers and she shared it with me and our team. We plan to bring as much attention to your journey as possible with the hope of finding you a match. We'll keep running for you and you keep that positive attitude and smile rolling!"